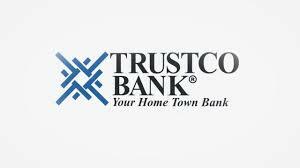 TrustCo Bank was originally founded in 1902 in Schenectady, NY as the Schenectady Trust Company when it purchased Schenectady Bank's assets. Originally, the company served as a credit union for General Electric employees. Schenectady Trust Company grew, even through crises such as the Great Depression, until finally it was renamed TrustCo Bank in 1989, at which point its assets were in the hundreds of millions. The company has made a number of acquisitions over the years, including Home & City Savings Bank and Landmark Community Bank. Today, TrustCo Bank offers a wide array of consumer financial products. These include savings and checking accounts, certificates of deposit (CDs), and money market accounts. Additionally, the bank is also a portfolio mortgage lender. This means that it keeps the home loans that it originates rather than reselling them to Fannie Mae, Freddie Mac, or a private investor. Portfolio lenders can be a great help to consumers, as they do not need to follow the same lending guidelines as mortgage lenders who originate conventional home loans. In some cases, a bank like TrustCo can originate a mortgage that a conventional (sells to Fannie or Freddie) lender could not. From its humble roots as a credit union serving a small community, TrustCo Bank has grown into a publicly traded company. That said, it has not forgotten its roots. TrustCo is still heavily involved in the community in upstate New York, including its sponsorship of the Tri-City Valleycats. In this case, Tri-City refers to Albany, Schenectady, and Troy, NY.